Theragenics Corporation (NYSE:TGX) investors should pay attention to a decrease in hedge fund sentiment of late. To the average investor, there are tons of methods shareholders can use to watch Mr. Market. A pair of the most innovative are hedge fund and insider trading activity. At Insider Monkey, our research analyses have shown that, historically, those who follow the top picks of the best fund managers can outpace the S&P 500 by a significant margin (see just how much). Equally as important, positive insider trading activity is another way to parse down the marketplace. Just as you’d expect, there are many reasons for an upper level exec to cut shares of his or her company, but only one, very clear reason why they would buy. Plenty of empirical studies have demonstrated the impressive potential of this strategy if you know where to look (learn more here). With all of this in mind, we’re going to take a look at the key action encompassing Theragenics Corporation (NYSE:TGX). At year’s end, a total of 5 of the hedge funds we track were bullish in this stock, a change of -17% from the third quarter. With hedge funds’ sentiment swirling, there exists an “upper tier” of key hedge fund managers who were upping their holdings significantly. 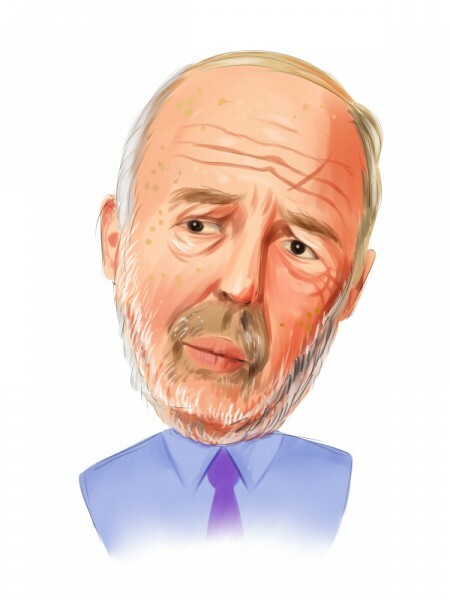 Of the funds we track, Jim Simons’s Renaissance Technologies had the largest position in Theragenics Corporation (NYSE:TGX), worth close to $2.5 million, comprising less than 0.1%% of its total 13F portfolio. The second largest stake is held by Chuck Royce of Royce & Associates, with a $0.3 million position; less than 0.1%% of its 13F portfolio is allocated to the company. Some other peers with similar optimism include Nathan Fischel’s DAFNA Capital Management, Gregory Fraser, Rudolph Kluiber, and Timothy Kroch’s GRT Capital Partners and Peter Algert and Kevin Coldiron’s Algert Coldiron Investors. Seeing as Theragenics Corporation (NYSE:TGX) has experienced bearish sentiment from the entirety of the hedge funds we track, it’s safe to say that there lies a certain “tier” of hedge funds who were dropping their positions entirely heading into 2013. Intriguingly, J. Carlo Cannell’s Cannell Capital cut the biggest investment of the 450+ funds we track, comprising close to $1.5 million in stock. These moves are important to note, as total hedge fund interest dropped by 1 funds heading into 2013. What do corporate executives and insiders think about Theragenics Corporation (NYSE:TGX)? Insider buying is particularly usable when the company we’re looking at has seen transactions within the past six months. Over the latest half-year time period, Theragenics Corporation (NYSE:TGX) has experienced zero unique insiders buying, and zero insider sales (see the details of insider trades here). Let’s also take a look at hedge fund and insider activity in other stocks similar to Theragenics Corporation (NYSE:TGX). These stocks are BSD Medical Corporation (NASDAQ:BSDM), EnteroMedics Inc (NASDAQ:ETRM), Digirad Corporation (NASDAQ:DRAD), Uroplasty, Inc. (NASDAQ:UPI), and Vision-Sciences, Inc. (NASDAQ:VSCI). This group of stocks are in the medical appliances & equipment industry and their market caps resemble TGX’s market cap. AU Optronics Corp. (ADR) (AUO): Insiders Aren’t Crazy About It Rambus Inc. (RMBS): Insiders Aren’t Crazy About It Is International Rectifier Corporation (IRF) Going to Burn These Hedge Funds... Himax Technologies, Inc. (ADR) (HIMX): Hedge Funds and Insiders Are Bearish... This Metric Says You Are Smart to Sell Alpha and Omega Semiconductor Ltd (AOSL... Do Hedge Funds and Insiders Love Audience Inc (ADNC)?